I was thrilled to moderate this charity tasting at the Naples Winter Wine Festival this past January. For the occasion, Harlan presented ten vintages of their flagship wine going back to 1992, which also happens to be the first vintage of Harlan Estate I tasted on release. Needless to say, it was fascinating to taste a cross-section of vintages ranging from the estate’s early days to the present, including a number of modern-day reference-points. The entire Harlan family was present, a remarkable show of support for both the Festival and this retrospective tasting. Bill Harlan and his son, Will Harlan, were joined on the panel by Estate Director Don Weaver, Director of Winegrowing Bob Levy and Winemaker Cory Empting for what turned out to be a lively and interactive discussion. When all was said and done, the 2017 edition of the Naples Winter Wine Festival raised over $15m for the benefit of the children of Collier County. The Festival is a big undertaking. Many people deserve a big thank you. Jeff Gargiulo organized this seminar many months in advance. A team of distinguished sommeliers took painstaking care of the bottles and poured the wines as the tasting progressed, which I requested (rather than in advance), to ensure the wines were tasted at the perfect temperature, not an easy task given the tight quarters and the South Florida heat. The following evening, Pat and Dave Gibbons and Peter and Shirley Welsh hosted a fabulous dinner at the Gibbons’ home featuring the wines of Cheval Blanc with 2017 honored vintner Pierre Lurton that I attended. I am also deeply grateful to the generous bidder who supported the lot I donated to the Festival along with with Instagram CEO Kevin Systrom and the Napa Valley Reserve. 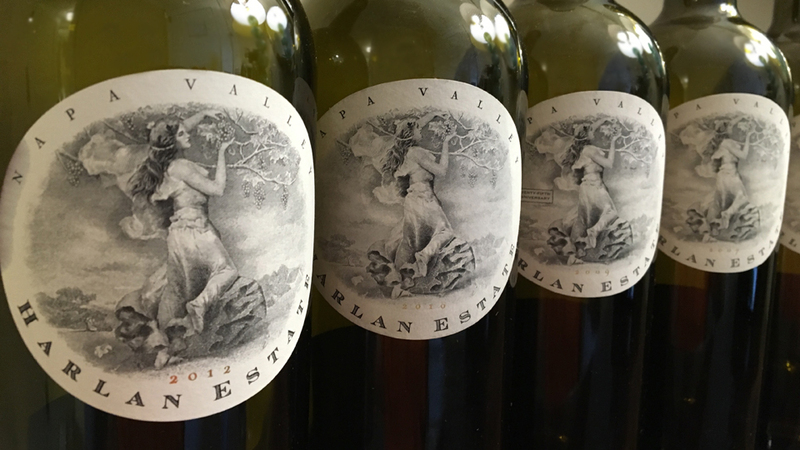 Harlan Estate, from The Vineyards of Napa Valley; Oakville, by Antonio Galloni and Alessandro Masnaghetti, 2016. Bill Harlan’s history in the Napa Valley is full of enough adventures and stories for an entire book, perhaps two. But I will be brief. Harlan set out to make an American First Growth. He has achieved that and so much more in a career that spans six decades in the valley. As he began to first conceive his Napa Valley estate, one of the first things Harlan did was travel throughout Europe to gain perspective on the attributes that were considered to be the most desirable for the production of world-class wines. 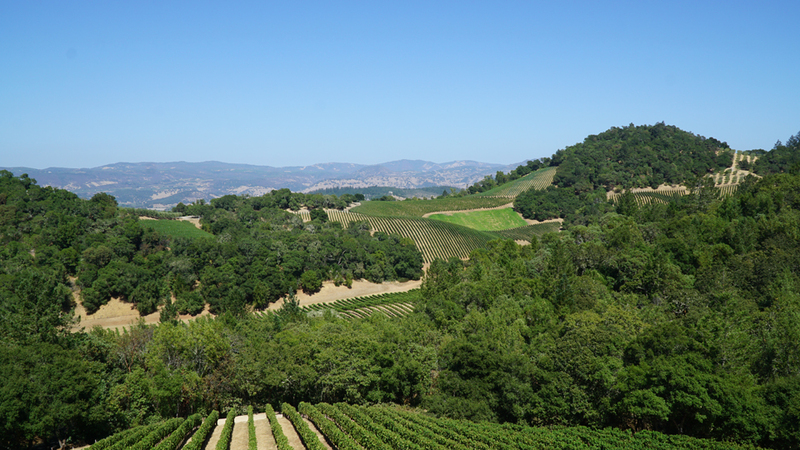 Harlan settled on the hillside vineyards of Oakville as the ideal location to develop his vineyard and winery. 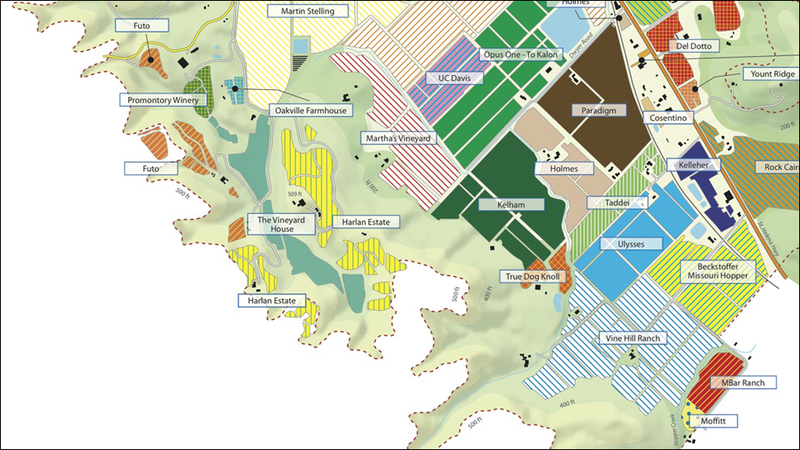 In the early 1980s, Harlan began piecing together what is now a vast property that includes 40 acres of vineyards, much of it purchased from Doug Stelling in a series of transactions over several years. 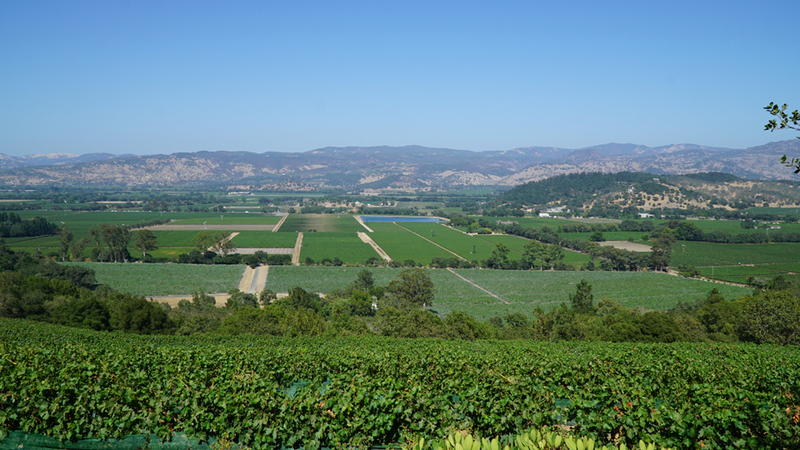 The first vineyards were planted with an assortment of heritage Cabernet Sauvignon clones, including material from Martha’s Vineyard, Backus and Inglenook, something that would probably be impossible to do today. Smaller blocks of the other main Bordeaux varieties are used to round out a wine that was meant to be an expression of a place rather than a specific or constant blend. The hillside parcels, some of them quite steep and others terraced, encompass a wide range of exposures, altitudes and contours. Volcanic soils are dominant on the eastern side of the property, while sedimentary soils are more common on the western portions of the site. 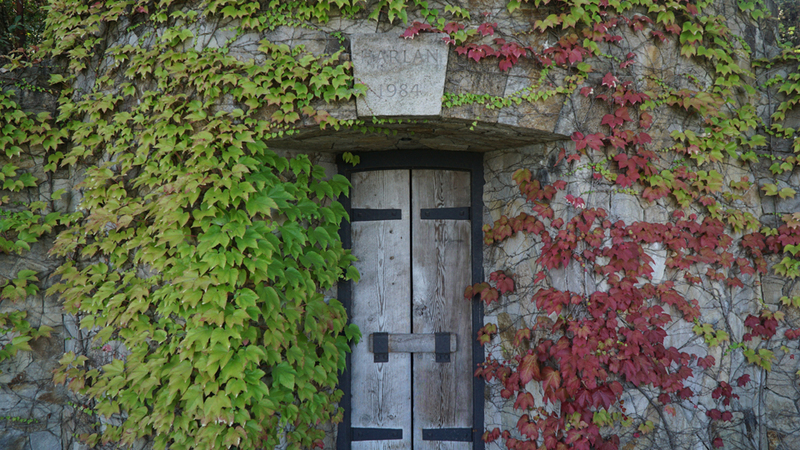 Harlan Estate remains one of the most distinctive properties in Napa Valley. Martha’s Vineyard and To Kalon are easily visible, as are large stretches of Napa Valley all the way through to Eastern Oakville and Pritchard Hill. As always, verticals such as this one provide a great opportunity to check in a few recent releases and see how older wines are faring. In this tasting, I especially liked the 1992 and 1993, both of them sentimental favorites because they are the first vintages of Harlan Estate I tasted when they were first released. The 1996 was another positive surprise, both because of how gracefully it has aged and its distinctly Old World-leaning personality. I have always adored the 2001 vintage in Napa Valley. The 2001 Harlan Estate was another stellar wine. 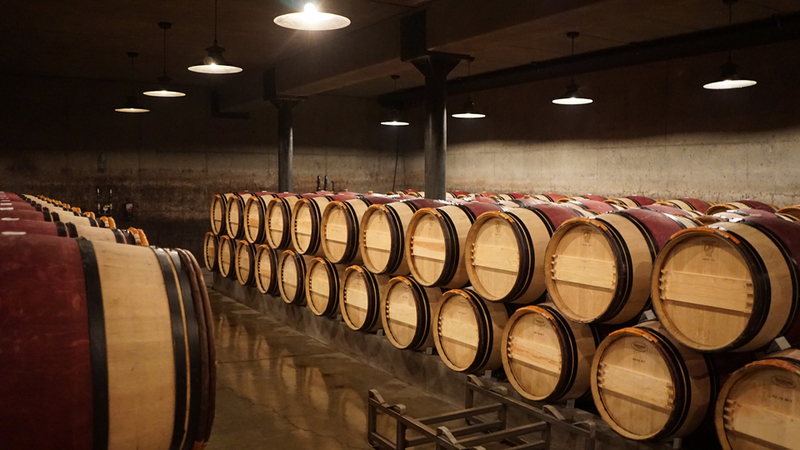 Among more recent vintages, 2010 is a year whose greatness was evident from the very beginning. This selection of wines also showed an arc in evolution from a more restrained style, to the more heavy, extracted approach of the late 1990s/early 2000s to today’s wines, which are by far the most elegant and refined in Harlan Estate’s history. Of course, over time vineyards become older, a great deal of learning takes place and winemakers are exposed to more and more wines from other parts of the world. All of those influences seem to be among the driving forces at Harlan Estate today. Racy and inviting, the 2012 Harlan Estate is the perfect wine to get this vertical started. Silky tannins and plush, richly textured fruit give the 2012 much of its immediacy. Succulent red cherry, plum, mocha, spice, rose petal and new leather are some of the many notes that grace this exquisite, sumptuous wine. The 2010 Harlan Estate is a total head-turner. Powerful, dense and exotically ripe – as so many wines are in this vintage – the 2010 dazzles with magnificent intensity. Baritone inflections run through the black cherry, graphite, smoke, tar and licorice flavors. Heat spikes at the end of what was generally a cold growing season yielded wines that bring together structure and fruit density. Stylistically, the 2009 Harlan Estate has quite a bit in common with the 2012, namely soft contours, plush fruit and tons of sheer immediacy. Now with a few years in bottle, the 2009 is just beginning to show the first signs of aromatic development. Deep, creamy and pliant, the 2009 can be enjoyed now, although it is sure to gain complexity over the next two decades. The 2007 Harlan Estate is fabulous. Explosive and dense, with tremendous persistence, the 2007 has all of the opulence and raciness that makes the wines from this vintage so distinctive. Scents of tobacco, leather and mocha develop in the glass, but above all else, the 2007 is a wine of sumptuous richness. It will continue to deliver considerable pleasure over the next two decades or so. What a wine! Empting describes 2007 as a warm, but not excessively hot, year with a long growing season. The wines presented naturally high dry extracts. Because of that, Levy and Empting opted for macerations that were a bit longer than usual. Open-knit, sensual and perfumed, the 2005 Harlan Estate is super-expressive today. Like so many 2005s, the Harlan is a bit lacking in intensity and overall structure relative to the very best years. The 2005 is a terrific choice for drinking now and over the next 15-20 years. At some point during that arc of time, the 2005 is likely to become a bit frail, but that does not appear to be imminent. Even after thinning to a cluster per shoot, the clusters and berries were large, which required some bleeding in the tanks, a technique that is not often used at Harlan Estate. One of the highlights in this tasting, the 2001 Harlan Estate is simply majestic. Powerful, explosive and dense, the 2001 soars out of the glass with an exotic mélange of aromas, flavors and textures that grabs hold of all the senses. The 2001 is an especially virile, potent Harlan Estate that will drink well for 20 years or more. Today it is very impressive. Two thousand one was current winemaker Cory Empting ‘s first vintage at Harlan Estate. The 1999 Harlan Estate is another powerful, massively tannic wine. Unlike the 2001, however, the 1999 does not appear to have enough fruit to balance its imposing structural elements. My impression is that the 1999 will always be austere, until the fruit eventually fades. In other words, I don’t think the 1999 will ever find its center of balance. It is fascinating to taste the 1996 Harlan Estate after the 1999. Tightly wound and almost Old World in spirit, the 1996 is compelling from the first taste. Although the 1996 doesn’t have the natural Napa Valley opulence that runs through so many other wines in this tasting, it’s balance is simply impeccable. Scents of tobacco, leather, cedar and spice add aromatic intensity. For a 21 year-old wine, the 1996 is still quite powerful. As good as the 1996 is, there is a perceptible aggressiveness in the tannins that are hardly, if ever, seen in today’s wines. What a joy it is to taste the 1993 Harlan Estate. The aromatics alone are captivating. Wonderfully nuanced and expressive, the 1993 is peaking today. Time has softened the tannins, yet there is plenty of depth, especially for a wine of this age. Readers can look forward to another 5-10 years of exceptional drinking. Although the vines were naturally younger when the 1993 was made than they are today, and winemaking has evolved, the reality is that the 1993, like many of these wines, really needed quite a bit of time to be at its very best. Tasted next to the 1993, the 1992 Harlan Estate is exotic, aromatically complex and quite delicate. A more feminine side of the estate comes through in the 1992. My impression is that the 1992 is starting to fray just a bit. For that reason, any remaining bottles are best enjoyed within the next 3-5 years at most. Today, though, the 1992 is haunting in its pure beauty. These last wines in particular make a very strong statement as to the optimal time to drink the Harlan wines and perhaps even Napa Valley Cabernets more generally. Based on the vintages in this tasting, it is obvious that Harlan Estate reaches its apogee of expressiveness – which I define as a point in time where tannins have softened and the wines exhibit good aromatic and flavor development while retaining freshness – at about twenty years of age.